" Gentoo Coating is a transparetnt coating that repels water, most oils and solvents. It able to withstand significant abrasion... "
ATTENTION! GENTOO COATING - TEST KIT is not one of the producer’s original volume options. It was prepared with utmost care by GENTOO COATING | Store Europe. The original product was poured into smaller bottles and the whole process took place in a laboratory under an inert atmosphere (argon). 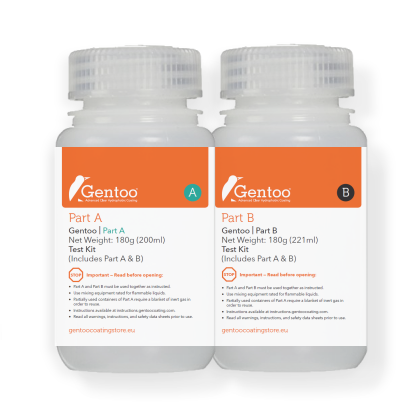 The bottles used for our TEST KIT volume option are of the same quality and from the same manufacturer as the bottles used by GENTOO COATING manufacturer for his QUART KIT option. GENTOO COATING is the next generation of corrosion-resistant and easy-cleaning coatings. With its combination of high performing abrasion resistance and very low sliding angle, GENTOO COATING excels where other coatings have fallen short. Traditional hydrophobic coatings are transparent and abrasion resistant, but do not shed fluid easily. Superhydrophobic coatings are generally great at shedding water, but are not transparent, and are easily removed. Whether it’s abrasion resistance, oil repellency or visual clarity, conventional coatings have their limitations. GENTOO COATING changes that. 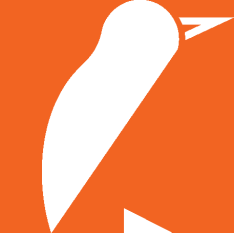 HOW DOES GENTOO COATING WORK?